Add interactive menus/tabs using this powerful plugin for WordPress. You can easily add as many tabs as you want on the wheel and display content for the tabs. 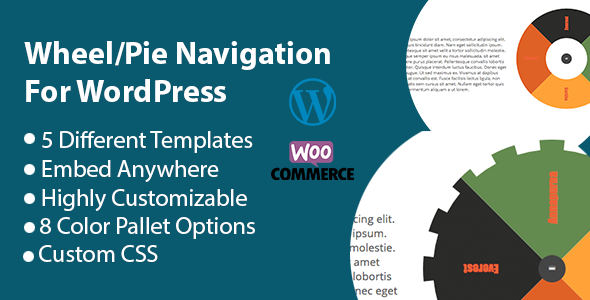 There are 6 different templates to choose from and it is fully customizable. It also contains an editor so you can easily customize the tabs and the texts on it. You can place the widget anywhere in the site using shortcodes.